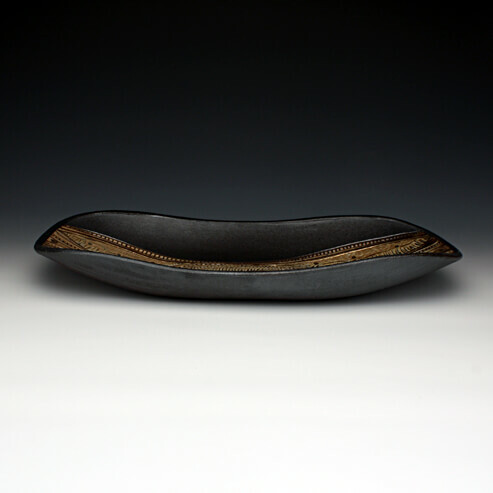 Karen Foote is a wood fire, functional ceramic artist that has called Fairbanks, Alaska home for 32 years. She was raised in Ft. Myers, Florida and while loving Alaska, has always maintained close ties to her hometown and her southern roots. She finds collard greens a comfort at 40 below. My name is Karen Foote and I am a wood fire ceramic artist from Fairbanks, Alaska. I began my ceramic education in 1997 under the late Tom Rohr and then James Brashear at the University of Alaska, Fairbanks. I am hesitant to call myself a potter as I don’t believe I make the volume of work usually associated with that term. I work in my studio on a part time basis, also spending my time making music, paintings, quilts, and good food. I like to refer to myself as a maker. Whether it is a pot or a song or a quilt or dinner, if it’s coming from my hands, this is where I find my satisfaction and on occasion, my bliss.